Back to School means back to structure, discipline, and schedules. For me, that also means back to better eating habits! For starters, I plan to implement more Meatless Monday dishes like this one to help counteract the summer snacking monsters we all turned into. 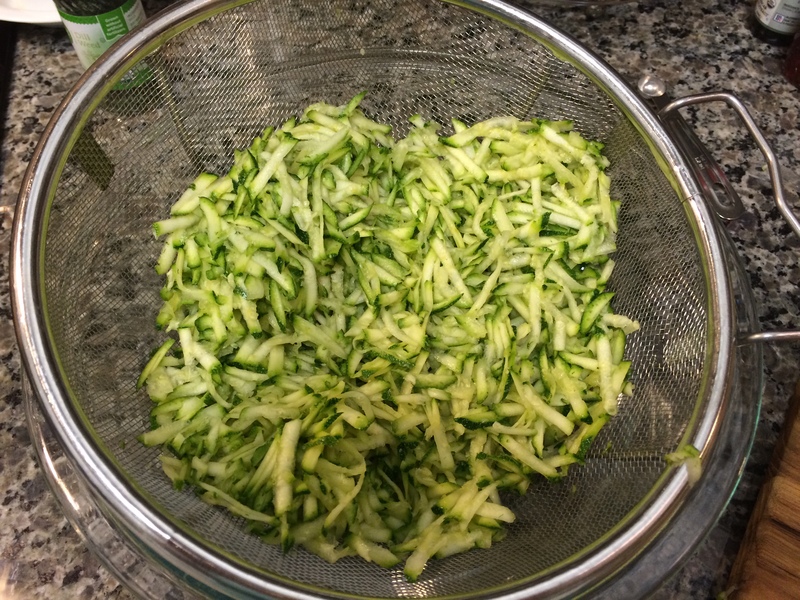 First, grated some New Leaf Community Garden zucchini and salted and drained out all moisture. 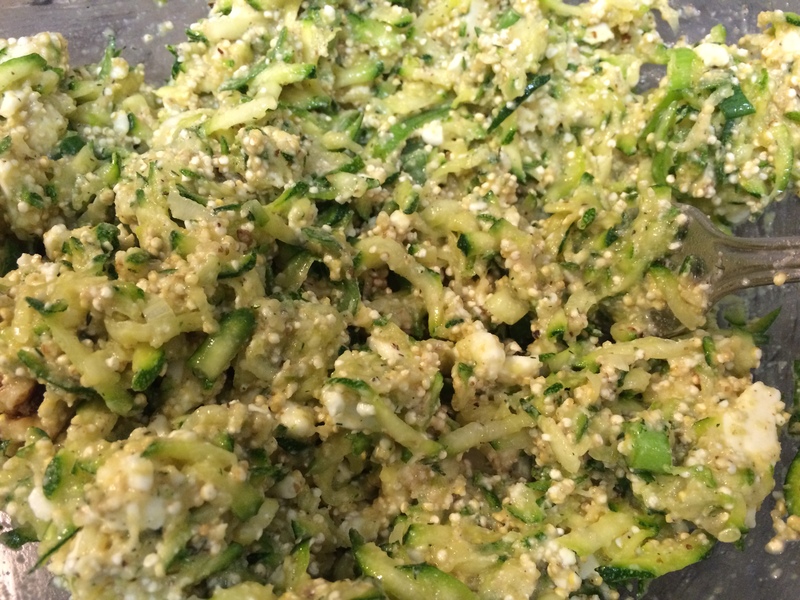 Threw quinoa and walnuts in food chopper, then added to zuke, eggs, green onions, and feta. 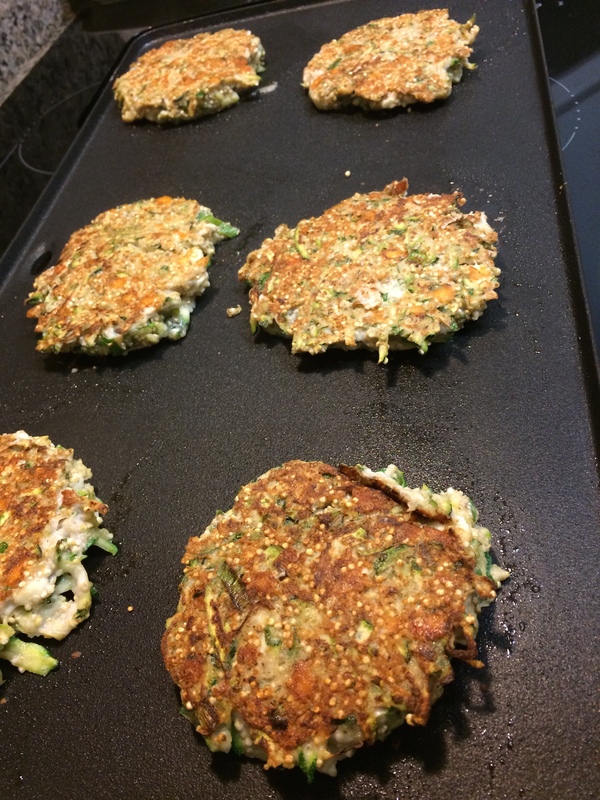 Topped with Cucumber-Yogurt Sauce ( the best part!) and added roasted (New Leaf Community Garden) butternut squash on the side for a happy little Meatless Monday (or Tuesday, or Wednesday, etc.) Admittedly, football-playing, teenaged son also ate a leftover pork tenderloin sandwich…but the rest of us were pleasantly full. 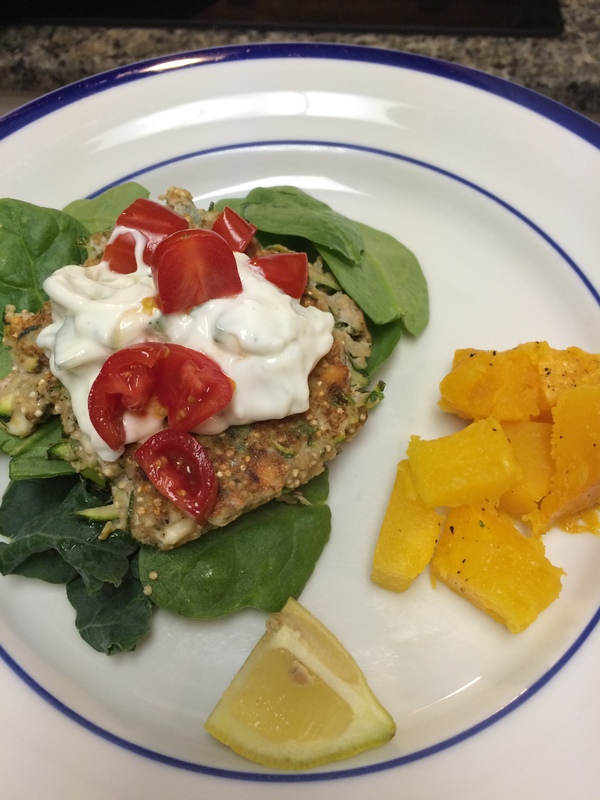 If you’re looking to eat more veggie based meals, I highly recommend this one!